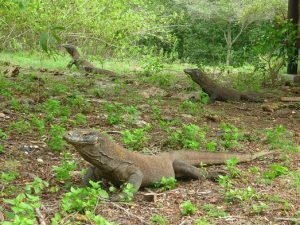 Flores Komodo Eco tour 10D/9N is our greatest offers in Eco tour packages discover Flores island and the islands of Komodo national park. 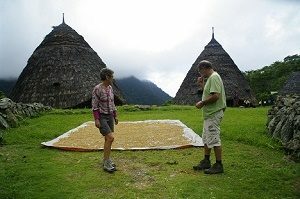 This tour package is our passion to see Flores island in different way. One of this program will bring visitors to stay in tent on top of mount. 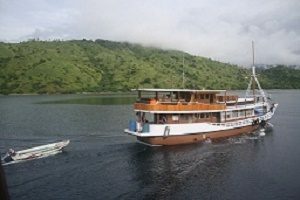 This tour package will focus the doing Eco tour on Flores island whiles at Komodo national park will do with regular tour. Please note that this Eco tour package really need your experience since all doing with challenge. To get more information about Flores Komodo Eco tour 10D/9N please kindly to contact us. Get your flight to Maumere town east part of Flores gate way travel to Flores Island explore with eco tours from east to west Flores. Upon arrival at Maumere airport meeting service with our guide then drive to Sikka village to see Hand weaving process from local community, buy souvenirs and old Catholic church that was built by Portuguese at colonial era on 16 century. Continue drive to Paga district to visit Nua Bari village that still hold their ancestor skull in grave stones with their legend and mystical story. Drive down to Paga village then process to Jopu traditional house that more then thousand of years old with typical and unique construction either interior and exterior. 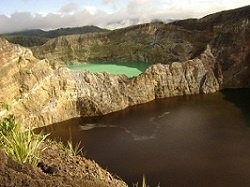 Drive up to Moni village where the central point to visit to Kelimutu Lake. Accommodation and dinner will be served at Moni eco lodge hotel or similar. In the early morning drive up to top of Kelimutu Lake to see one of world nature wonderful and dramatic sight three colored Crater Lake. Arrive at parking area you will walk up more than 275 steps to get top of lake where you can see three Crater Lake with different color. If the weather permitted you will see sun rise with fantastic color and wonderful background. After take picture then walk down to parking area continue to drive back to hotel for your breakfast. After breakfast drive to Ende for taking a moment of landscape from the top and visit Bungkarno museum to see particularly materials of Bungkarno when he was exile in Ende on 1934. Continue drive to Mataloko for Lunch and visit Nage Keo traditional house where you will see giant of Buffaloes horns that rested of 18000 years ago. Drive to Wogo traditional village to unique and typical construction of local people of Ngada region. 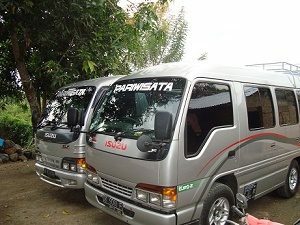 After walking around the village, drive to Bajawa for your accommodation and dinner. Breakfast at your hotel then drive to south part of the town will pass Inerie mount which are smoking some time from the Crater. 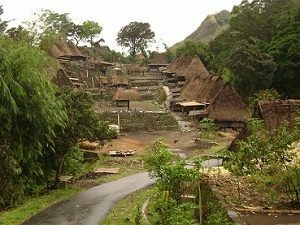 Take picture of scenery then drive down to Bena to see biggest traditional house in Flores with megalith stones and hand weaving process. After explore the village then drive to back to Bajawa to continue to Aimere district to see ARAK (local alcoholic drinking) that made from palm trees. ARAK is strong alcoholic drinking from Flores Island where local people processed with distillation from palm juice. Continue drive to Borong for your lunch at local restaurant. After lunch drive to Ruteng will stop at Ranamese Lake where located on slope of Ranaka highest mountain in Flores Island. Here is the biggest rain forest in our province with some endemic birds are living around the natural forest. Afternoon you will drive to Ruteng Pu’u traditional house of Manggaraian (west Flores ethnic group) to see unique of interior and exterior construction and big altar to make their ceremonies of local community. Continue drive to hotel for your accommodation and dinner. To day you will spend all your time with local people to do activities to the field, home work, taking water, climbing trees, wood fire gathering, and so much more… Lunch will be served on the way your activities with local people. Evening time take your time to go shower with their way in the river or what they do at the time according to local condition. Accommodation and dinner served with local people. After get breakfast with local people you will start to walk down to get Denge village. Some stop will be made according to nature happenings on the way or some interesting to see or take picture. Arrive at Denge village take your car drive along coast to Lembor district. Arrive at Lembor direct meet local people that you are going to stay in the night. Evening time you will go with local people to hunt Eels and Frogs around fielding area. You can use all your crops for your dinner. This is way life that they do any time before dinner. After take breakfast with local people then spend until lunch time to see local daily work or take a part with them go to rice field, work or just follow their work whiles learn about their activities. After take lunch and say Good by then drive to Cunca Rami waterfall at Werang district. Arrive at Werang prepare to pack all your luggage start walk and trek to get Cunca Rami waterfall. After take our time on waterfall, you will trek 3 hours to the top of Mbeliling mount. On the way will be stopped by birds singing when they are coming back to their home on forest. Arrive at top of mount you will stay with camps to enjoy with voice of nature. Tents will be arranged by local communities from Roe village or Werang district. Dinner will be prepared by local communities. Enjoy your nature dreaming. After get breakfast with on the top walk down to Roe village where local communities live. Continue drive to Labuan Bajo western part of Flores Island. Arrive in Labuan Bajo direct transfer to boat depart to Rinca Island about 2 hours. Arrive at Rinca direct check in then started to trek about 2 hours to see Komodo Dragons in their natural habitats and wild life such as Buffaloes, Horses, Deer, wild boards, monkey and some kind of birs. Go back to boat depart to Kalong Island to thousand of Flying foxes when they are coming out from mangrove tree fly to Flores Island for their fruits. Accommodation and dinner will be served on the boat. 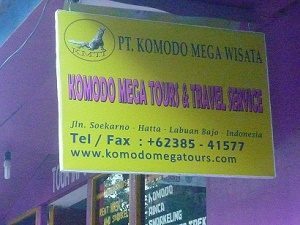 Early depart to Komodo Island take other chance to see Komodo Dragons and wild life. Arrive at Sabita ranger post direct to report your tickets then trek with ranger from Komodo national park. 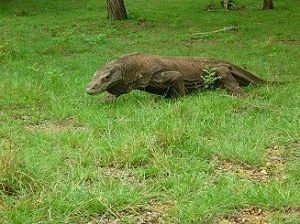 Loh Sebita is not common place to see Komodo Dragons but this our aim to see Komodo and Flores from different way. After trek depart to Manta point for Snorkeling and swimming on the clear water. If you are lucky you will see Manta rays that always hanging on the surface of sea level or just swim or snorkeling with you. Lunch will serve on the boat. 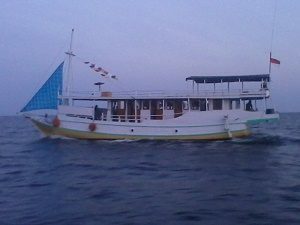 After snorkeling depart to Labuan Bajo for your hotel and dinner. Arrive at harbor drive to hotel for your staying. Get breakfast at your hotel then drive to local market to where local people are selling and buying their product. Then drive to Batu Cermin cave to see stalactites, stalagmites and dried coral fossils that hanging on the wall of cave rested from Jurassic era. 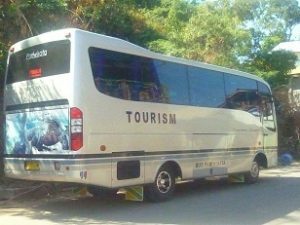 After explore the cave then drive you to airport for your flight to Bali.